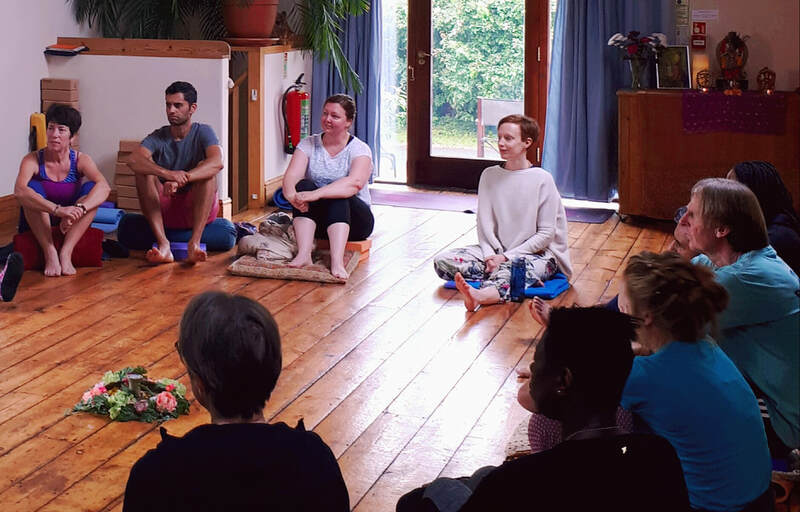 Practices will include Traditional Hatha Yoga, the morning sessions will be more energising and active and the evening sessions gentle/restorative. The last day we will conclude with Yoga Nidra practice. A typical class includes asana, pranayama, guided relaxation, chanting and a touch of philosophy. 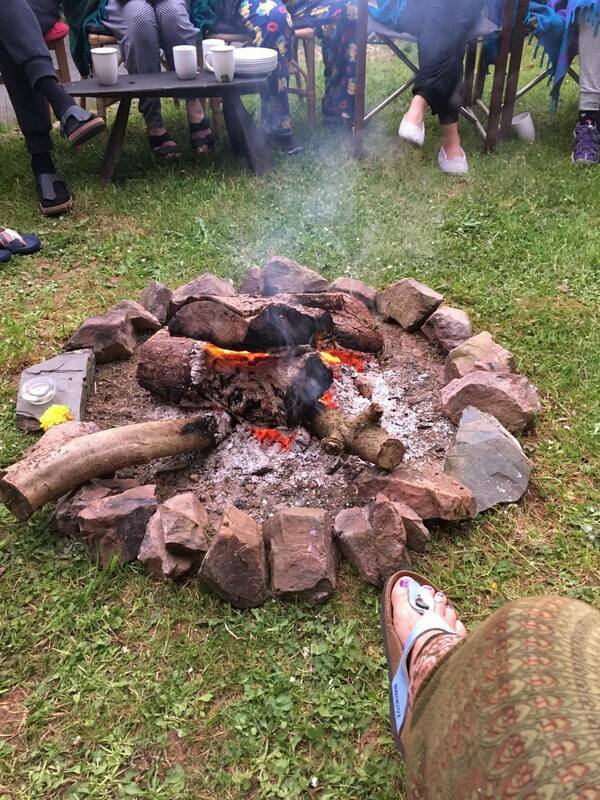 The retreat is suitable for all levels whether you have a little experience or a lot. 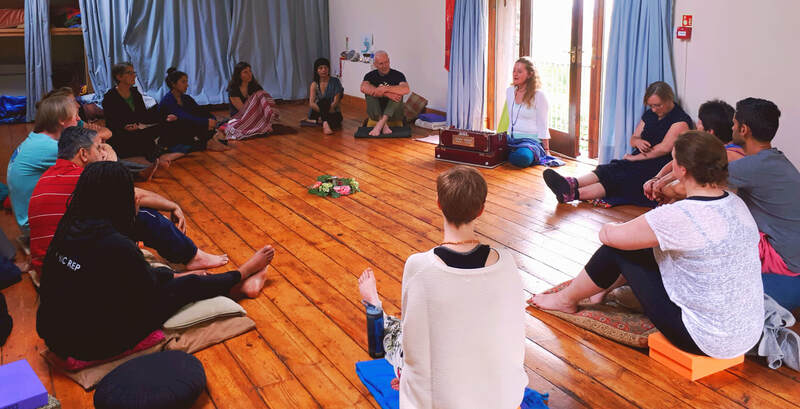 The schedule also includes Meditation, a little kirtan, chanting of mantras and words of insiration to nourish your practice and understanding. There will be time for you to indulge in a massage or you may like to relax and steam detox in the sauna or simply go for a walk or read a book in the garden. 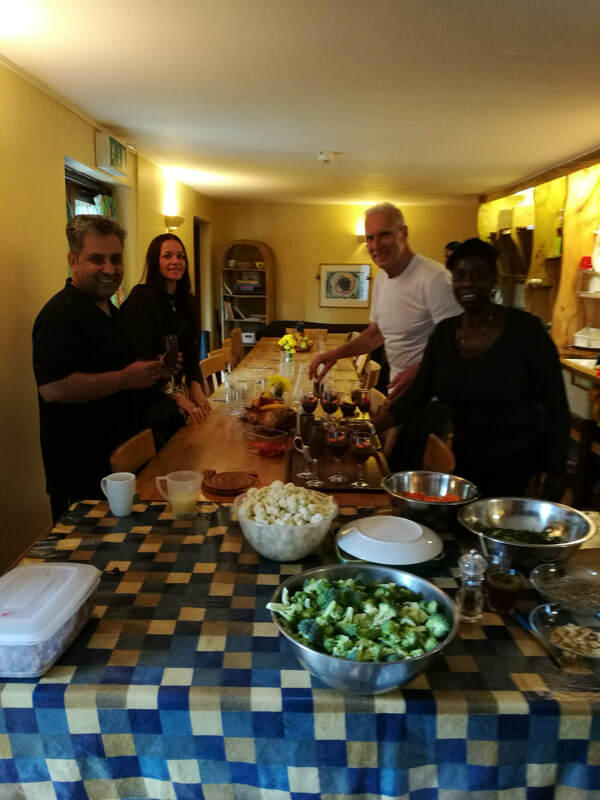 Retreat cost - 3 days, 2 nights from only £220 per person - includes accommodation, all classes/workshops, delicious vegetarian meals and sauna. 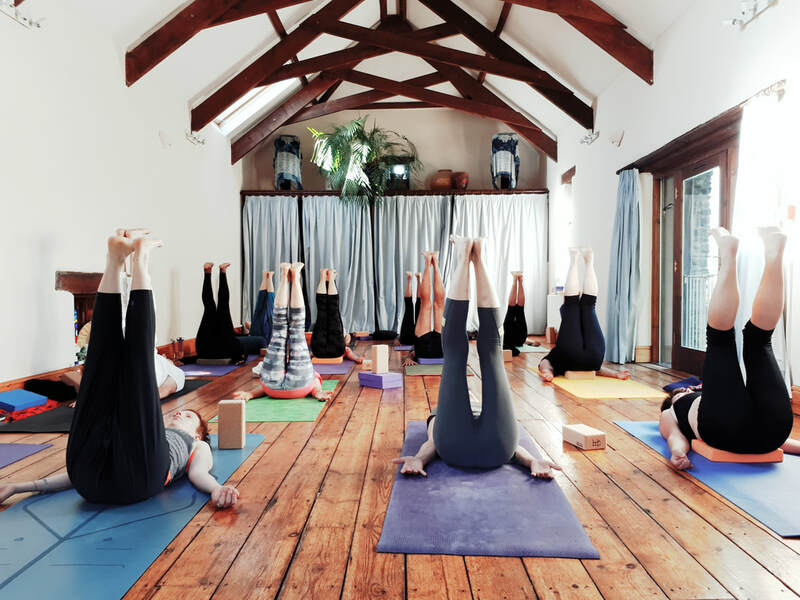 Just two miles from Totnes, Eden Rise provides a beautiful environment for our yoga immersion. 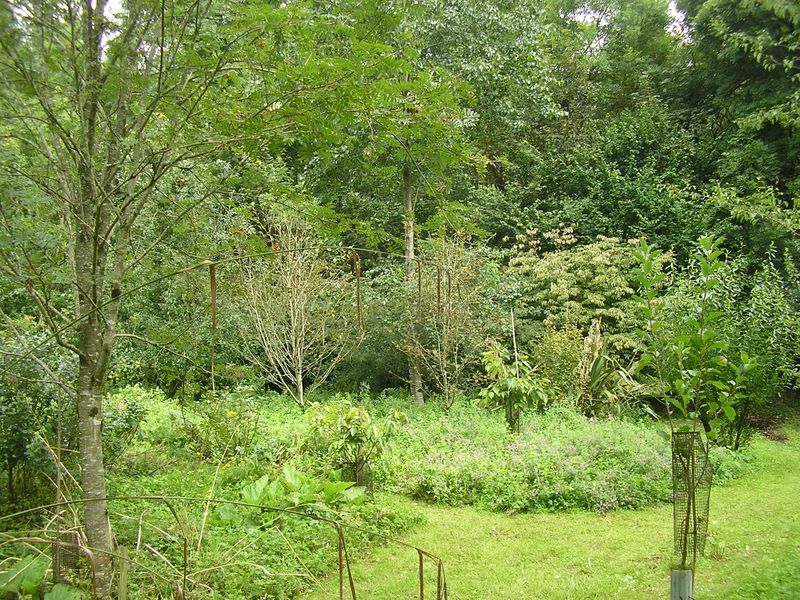 There are wide views to Dartmoor and access to seven acres extending to the Harbourne River. 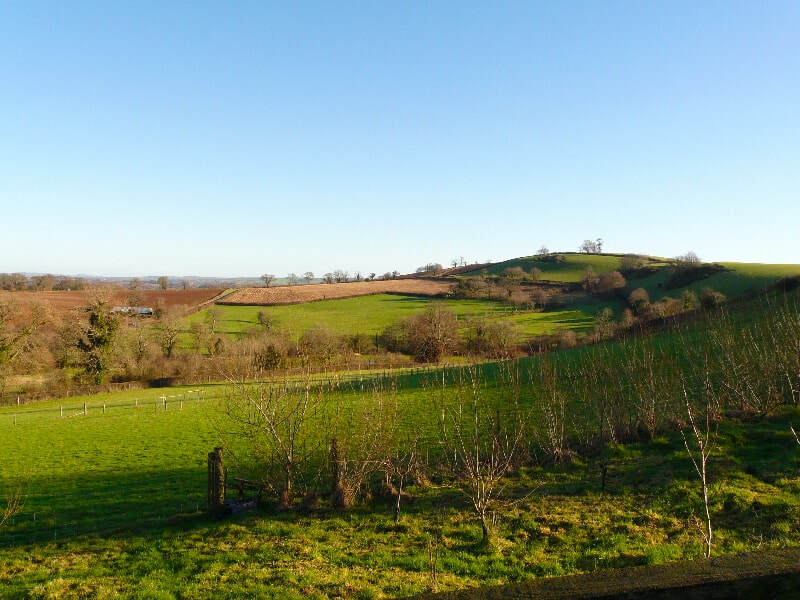 There are garden and yurt terraces around the barns with a hedgerow walk to a beacon lookout. Beyond is shared with others working the land which takes you through wooded fringes, down to the river and past great trees, with sculptures and shrines along the way; leading to the Santa Rosa labyrinth and the sheep grazing. It's a place of community, sustainability and healing. A humble and deeply nurturing retreat center which instantly makes you feel at home within its cosy habitat. 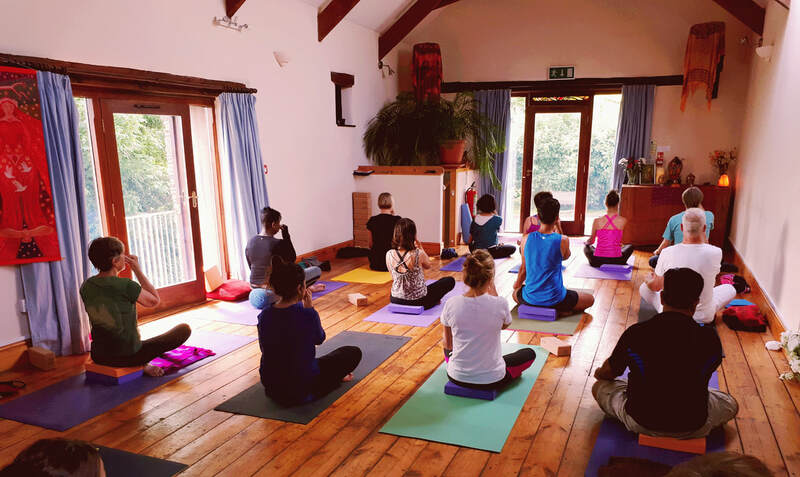 ​The yoga room is the heart of each retreat, with underfloor heating it certainly provides a warm and inviting space for practice and relaxation. Dormitory (4 or 6 people sharing) - £220. The 6 bed dormitory is sectioned off to allow for privacy with either 1 or 2 people to a 'pod', there is also a 4 bed room mini dormitory. 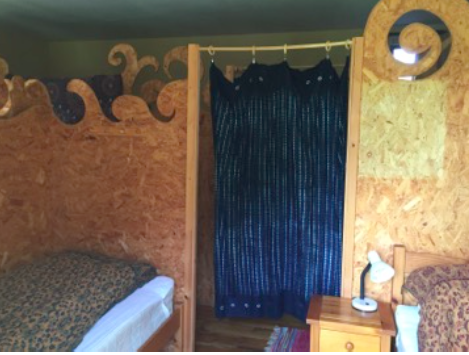 All rooms are simple, comfortable, eco-painted and most have doors to the courtyard garden or upper terrace. ​You will need to bring your own base sheet, top sheet or quilt cover, pillowcase and towel as these are not provided. It is possible to hire bedding & towl for a £10 (please prebook)..
​Vegetarian Meals/drinks - All meals are wholesome, nutritious, vegetarian/vegan, homemade and cooked with love! 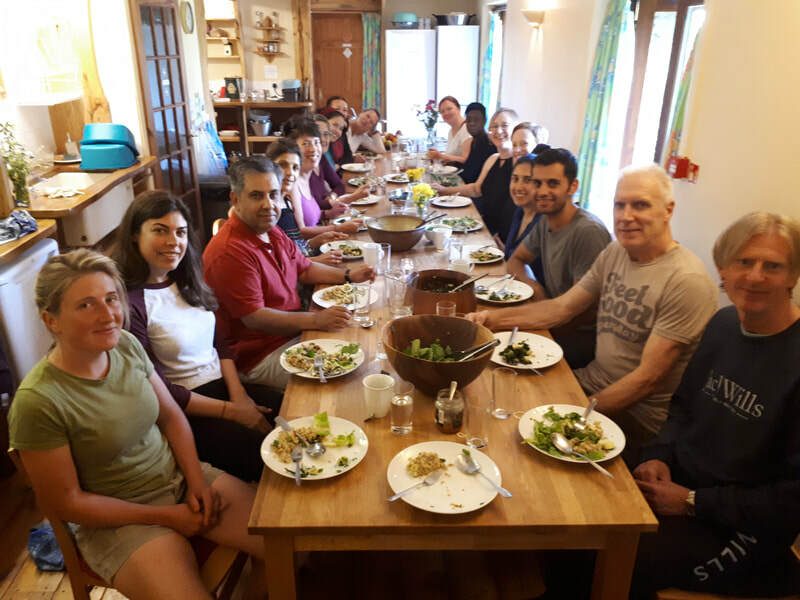 We follow a yogic diet and respectfully ask that you do not bring any meat, fish, eggs, onion, garlic or alcohol to the retreat. Herbal teas are available. We do not provide coffee but you are welcome to bring your own. We encourage a community spirit at meal times and invite guests to wash their own plates and help to clear the kitchen a little. This is the spirit of Karma Yoga... a selfless offering which is not obligatory. ​Massage - A variety of massage treatments are available for you to enjoy. Massage is not included in the retreat and is at an additional cost. 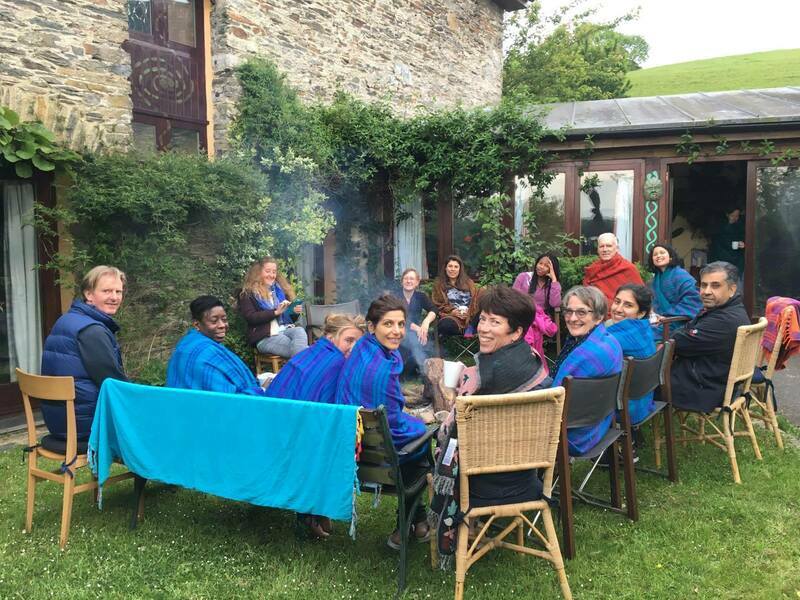 Retreat - In order to get maximum benefit from the retreat we encourage full participation in the programme. However, this is also your retreat and if you feel you may just need some quiet time and not attend one of the classes, then of course no problem. Just a gentle note that the retreat space is not a hotel, we ask that each person helps to clean up after themselves in order to maintain the cleanliness and purity of the retreat during the weekend. TO BOOK - please complete a booking form (below) and forward your deposit or full payment. Places are not confirmed until deposit payment has been received.